to create a complete time collection solution. Does your company use a software product for Time and Attendance or Payroll? Take time collection a step further when you incorporate riteTIME. See how riteTIME works with your current software to provide a complete time solution. 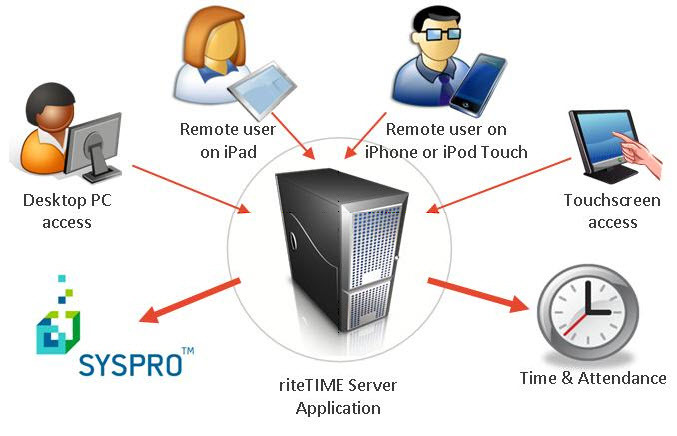 riteTIME is a self-contained production data tracking system. It can run completely independent of other systems or in conjunction with ERP, MRP, time and attendance or other systems. riteTIME will grow with your business no matter when you need to make a change to your systems. When you are ready to scale to larger systems we will be ready to serve! Once you complete the form, you will receive an email immediately for access to the whitepaper and videos.